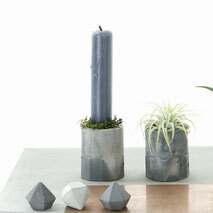 It feels like winter is coming and the time for candles is here, so let's restyle our concrete vessels and accessories. I have some vessels, dinner or taper candles, silver foil, Reindeer Moss, an eucalyptus branch and to set it all a lighter and bit of water. 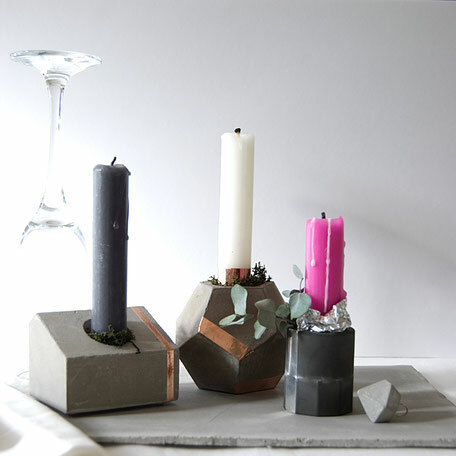 One option would be to wrap a bit of aluminium / silver foil around the base of a candle. Please be messy and when pushing it gently into the recess of your vessel it will create different openings to place a bit of fir or eucalyptus. 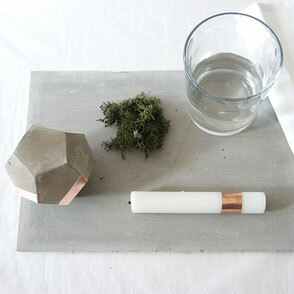 You can set it with soft moss and keep reusing it. However, if you use a bit of water to wet the moss it will get hard when it is dry and offers a more stable fix. You will have to use water to soften the moss again to reuse it. 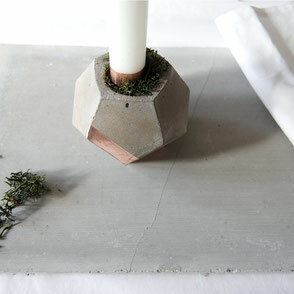 The ultimate minimalist and third option I can think of is the fitting with a bit of molten candle wax. 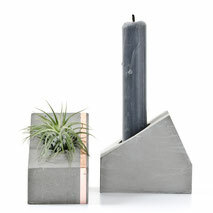 The recess of all my vessels is spacious to provide an airy recess for an Air Plant and will therefore provide space for standard dinner as well as handcrafted wide taper candles. 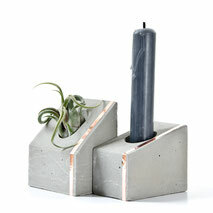 However, when fixing the candle like this and allowing it to burn down below the recess opening the cleaning process could be stressful for us and the concrete. Please make sure to stop the candle burning into the mossed area. That will not just make an easy clean but also avoid the moss and other greens from getting burned. 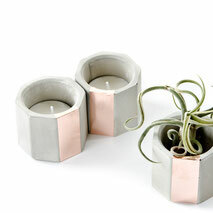 Tip > You can add a copper or silver band to the candle. It makes for a wonderful shiny contrast to the moss or other greens. Perfect for the Holidays! 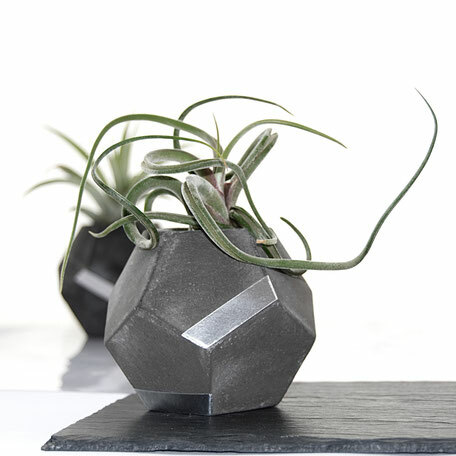 Well and all year around my vessels are fantastic Air Plant holders or can help to fragrance your house.